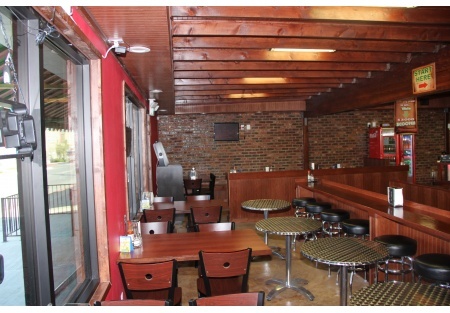 Beautiful newly constructed restaurant, ready as turnkey operation or change to any concept you would like. Seller recently opened after over six months of planning, permitting and construction headaches and delays. Ownership dispute forces sale. Their loss is your gain; avoid the maddening process of building out your own place, the hassle and endless construction delays are over. The owner did all the hard work and you can reap the rewards. Bring a reasonable offer and get the deal of a lifetime. Currently a burger/Mexican food theme is in place but this location easily converts to just about any concept you would want. Vietnamese, Chinese, full Mexican, this place is ready to be your dream location. Demographics in the area support many different quick serve concepts; could one of them be yours? Kitchen has huge 12 foot hood system with grill, fryer, oven and all the equipment you need for high volume food production. Walk in cooler and freezer along with plenty of dry storage provide all the room for your product you will need. The open kitchen provides a great guest experience and really shows off the food. Want your guests to see and smell your food as an enticement for purchase? This is the way to do it. Located on a super busy street with a dedicated parking lot and a large double pole sign this place gets noticed by 1000’s of cars daily. The Restaurant is walking distance from many high density residential units and with nearby convenience stores providing a constant stream of customers, your potential customer base is right there and huge. The space is approximately 2418 square feet and rent is $3750/ month. Current lease term expires in June of 2019 and there are two five year options available. You will have this restaurant locked up for a long time. If you are looking for multiple locations and want to realize economies of scale right away, the seller has two additional units with the same concept also available for sale. Seller wants out now and all reasonable offers will be considered.